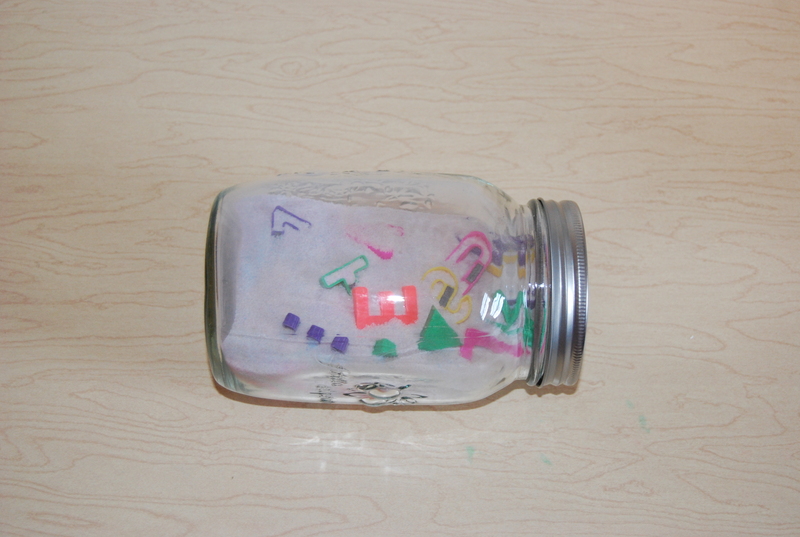 We love making these Rainbow “sand” jars! Pour salt on paper plates and have the children rub chalk (drawing chalk works best, but any colored chalk will do) in circles until the salt takes on color. Fold the paper plates in half and assist the children in pouring their salt plates into a glass BALL jar. Fill the jar approx. 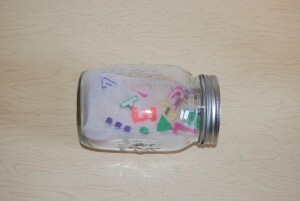 half full, add miniature letters, shapes, numbers, etc., cap the jar, and then shake it up. For Holiday themes, you can use miniature Hearts, Flags, Pumpkins, Turkeys, Christmas Trees, etc. In the picture, our kids are working to find letters only. When they find one, they bingo dot the appropriate letter on their page. We have jars and work pages for shapes, numbers, and the Alphabet currently in our classroom. We’ll add FUN jars of different kinds of flags, and red/white/blue sequins for Memorial Day! The salt jars are easy, peasy fun crafts to make and are durable enough to withstand daily use from young children! For more fun ideas see Preschool and Kindergarten Themes for Active Learning and Play!